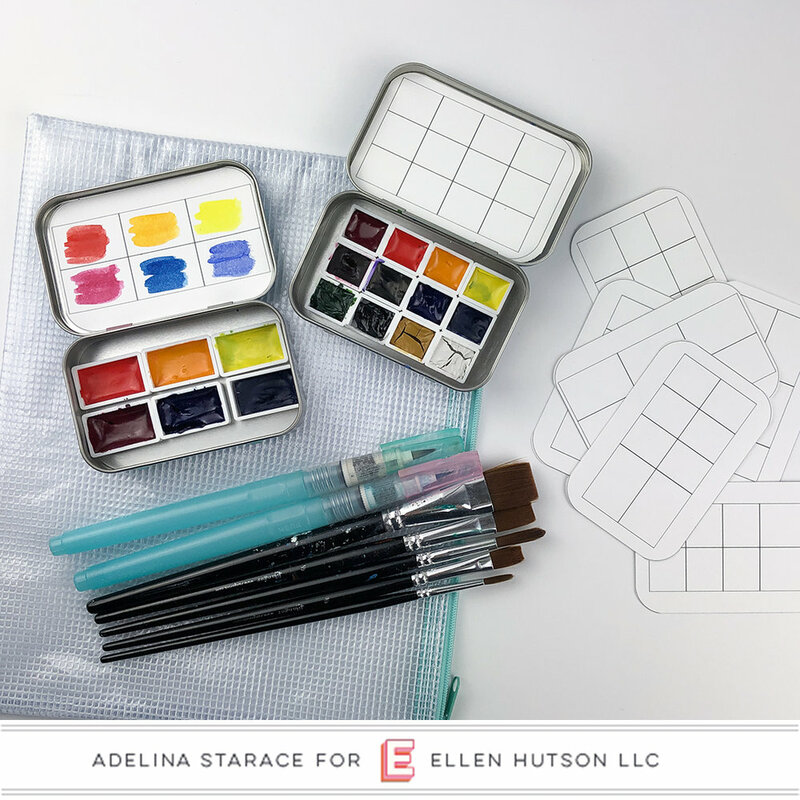 I’m over on the Ellen Hutson blog today sharing a process video for creating a travel watercolor kit in an Altoid tin. 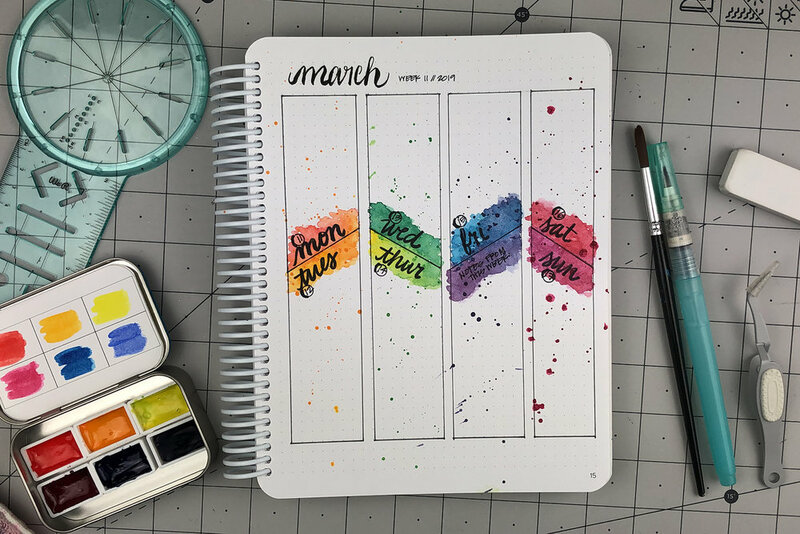 I’m also sharing a couple of easy techniques for applying watercolor in your Canvo Bullet Journal. You can find a full playlist of my Planning with Adelina series on the Ellen Hutson YouTube Channel. Head on over and check it out! 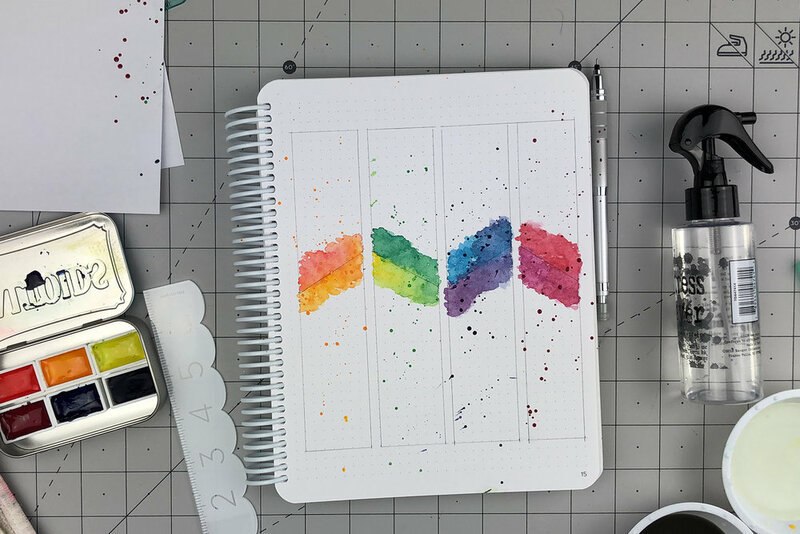 I’ve listed the supplies I used for this watercolor kit below. If you’d like to download a few palette layouts to use in your Altoid tin lid using the products from my video, you can find that in the link below.